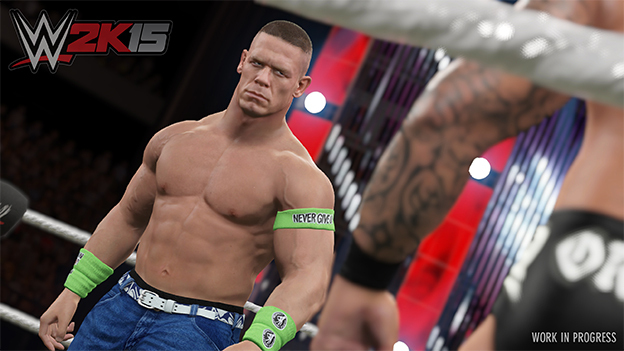 WWE 2k15 promised a lot of things as our first next-gen wrestling game experience. It promised a faster pace of matches. It promised a diverse roster. It promised a deep and immersive wrestling experience. For all I know, the next-gen version of WWE 2k15 may still offer that. However, I did not play the next-gen version of the game. I played the game on the old faithfuls of the Xbox 360 and PS3. 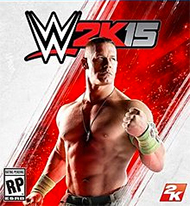 Unfortunately, WWE 2k15 on these systems simply doesn’t hold a candle to previously released WWE games. Modes are missing, the roster is small, and there’s nothing that really sets it apart as unique or interesting as compared to WWE 2k14 and WWE 13. Gameplay wise, you are looking at the exact same system that we have been grappling with (see what I did there?) for years. You can strike, grab, run, and more, all while building up your momentum to execute a signature finisher. As was the case in previous WWE games, “strategy” is not really the central focus. Instead, gamers are asked to shove their desire to win to the side and instead fool around with the many moves each wrestler has to offer. In each match, you will likely go through every single technique in your move-list, just because it looks cool. You’ll use backdrops and suplexes, not because they are effective but because they are fun to watch. Unfortunately, this leaves you open to a whole host of counter attacks. Well timed “reversals” mapped to the shoulder buttons are once again key to winning a match, and computer opponents can hit them with inhuman accuracy. When playing with friends, it usually comes down to “whoever can react to the reversal icon the quickest wins the game” reducing all gameplay down to a flashy version of slap hands. The best way to overcome any opponent is to spam strikes most of the time as they have small reversal windows, only going for throws and holds when you can do the most damage and the opponent cannot effectively respond. The result is a wrestling match where every competitor takes turns weakly slapping each other in the chest over and over again, until one uses a finisher and the match ends, which isn’t exactly compelling to watch. But as I said before, we have become used to this system in the WWE franchise. The gameplay really hasn’t changed for years, and seeing the old system rear its ugly but still much adored head isn’t anything new. The thing is, WWE games make up for their shallow gameplay through a whole host of modes that allow you to craft your own personal WWE experience. WWE 13 and WWE 2k14 had modes that let you customize practically everything, from stories to moves to events to whole franchises. 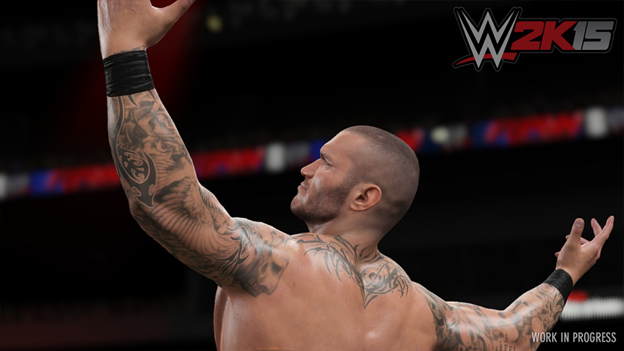 WWE 2k15, however, is missing some of these most beloved modes, and that is perhaps the biggest disappointment. The ability to create a special move is the most glaring omission, as it was one of the most fun creation modes of WWE games past. In particular, this means that your custom characters will have to rely on a pre-canned set of moves, which isn’t anything we haven’t seen before but still feels like a step backward. The ability to create stories is also gone, which is yet another huge disappointment. Story creation was where a big chunk of the WWE franchise’s replay value came from, allowing you to dream up your own fantasy plotlines once you were done. In a sense, WWE games operated like a crowdsourced game, much like LittleBigPlanet or Project Spark, in that it was what other people created that kept you coming back time and time again, and without this robust creation suite, the game offers just a little bit less. The new MyCareer mode, one of the biggest advertised features in WWE 2k15, is not included in this last-gen version at all. Instead, we get Who Got NXT mode, a series of challenge matches featuring the meager 5 man NXT roster in the game. Unfortunately, this mode is not very fun at all. It feels like a bizarre hang-on to the single-player 2K Showcase mode. It plays largely in the same way, just with less story, fewer cutscenes, no adjustable difficulty, and incredibly frustrating match objectives.